Alex Smith is Colin Kaepernick’s backup but still views himself as a starting quarterback after completing 70.2 percent of his passes and compiling a 104.1 passer rating in his nine starts for the 49ers this season, Matt Maiocco of CSN Bayarea reports. “I still feel I have my best football ahead of me,” Smith said Tuesday during “Media Day” at the Superdome, site of Super Bowl XLVII. “I don’t have any regrets,” Smith said. “I wouldn’t change anything. I’m just continuing to try to get better and be the best quarterback I can. I felt like I was playing good ball. Coach made the decision. He gets paid to make those decisions. I play football. For me, no regrets. 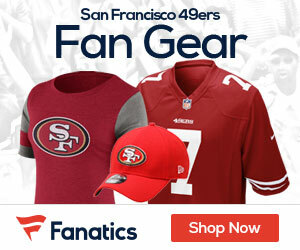 Be the first to comment on "Smith Says He Has No Regrets About Returning To Niners"